Choosing the right career can be a very daunting task in today’s world which offers an array of paths, all of which seem to be leading to a golden goal. Traditionally, government jobs were the most sought-after employments. This was because there were not too many employment opportunities in the private sector and the government jobs offered perks which the private sector jobs could not match – job security with little or no threat of job loss, pensions, unmatched administrative power, relaxed working hours, etc. The liberalization of the Indian Economy in 1991, however, brought about some drastic changes. The unprecedented growth of private sector post the liberalization opened up an increasingly large number of new employment opportunities. These private sector jobs, even though they do not guarantee job security, recognize talent and offer high career growth opportunities & perks for people with the right qualifications & skills set. This has led to a change in perception in most parts of the country whereby people became more open to exploring & seeking new career opportunities besides the traditional government jobs. This change resulted in increased competition to secure admissions in the leading institutes across the country – be it IITs, IIMs, AIIMs, NIFTs or National Law Schools as their ‘tags’ provide the passport to high-paying jobs in the Multinational Corporations (MNCs). But the same change in perception is still to kick-off significantly in the North East in general and our community in particular. Many of our young people still cannot look beyond the traditional employment opportunities when planning or choosing a career. This traditional mind-set bars us from developing and exploring new avenues of career opportunities. We are running behind others in the race for development because of this parochial mind-set. For instance, we do not have much people nor do we encourage our young minds to explore the media field and thus we have few or no representatives when the need for it arises. Then, there is the craze for the civil services (British legacy) which no doubt is one of the most lucrative jobs in the country, but has obstructed many people’s career. Hence, the time has come for students to be cognizant of the changing trends and the emerging opportunities in different fields. It will enable them to make an informed decision about their career choices. Careers can actually make or break one’s life, so it is important to make the right choice – although it’s getting ever more difficult because of the increasing diversity and the large number of career options. There are over 150 career options today! Nevertheless, a career can be very satisfying if you have made the right choice. Like the famous adage goes – “If you choose the job you love, you don’t have to work a single day in your life.” On the other hand, a wrong decision can leave you wishing that you had trodden a different path. On an average, a person works a minimum of 40 hours a week, 40 weeks a year and 40 years in a lifetime. This is a really long time if one is not fulfilled in one’s career. There is also an increasing need to make a career choice based on a systematic, customized and well thought-out career plan and not based on intuition, gut-feel or chance. A proper career plan is crucial because one of the pre-conditions to secure one of those high-paying jobs or a dream job is to acquire the right qualifications – which mean pursuing the right courses in the right colleges or institutes. This is especially important for young people, who are increasingly forced to make “mature” decisions at young ages, right from which course to pursue after 10th standard (Science, Arts or Commerce) and this is being exacerbated by lack of proper career guidance. But even today, most students spend more time planning a vacation than planning a career! Therefore, given the importance of a career plan in chalking out the path to reach one’s career goal, I have attempted to outline a simple 3-Step Career Planning process below which may be used as a broad guideline to develop one’s career plan. There are several ways of reaching one’s career goal and there can be various steps involved, but I believe the process described here would provide the basic framework for a non-starter. Every career planning should start with self-assessment. All the 150+ career options available today are invariably good careers. But what matters is not what is good but what is good for YOU! Your career choice should be based on your interests, skills/strengths, values and personality (not what your parents want or which careers your friends are choosing!). For e.g. a person who hates maths is very unlikely to make a successful engineer. Similarly, it would difficult for an introvert person to make a very good salesman, and so on. A career which matches your personal preferences or skills has a good chance of providing you a satisfying career. Career planners sometimes talk about finding work that you are “passionate” about. That might be hard for many of us, but a careful consideration of our interests, skills, values and preferences should, at a minimum, result in our being able to find a job that does not bring us down. Job satisfaction is often a result of having a work that interests you and that you are good at. That speaks to two of the most important areas of self-knowledge – interests and skills/strengths. It is possible to have an interest in a certain area, yet have little or no skill in that area, and vice-versa. Many people tend not to be introspective and don’t give much thought to what interests them or what strengths they possess. 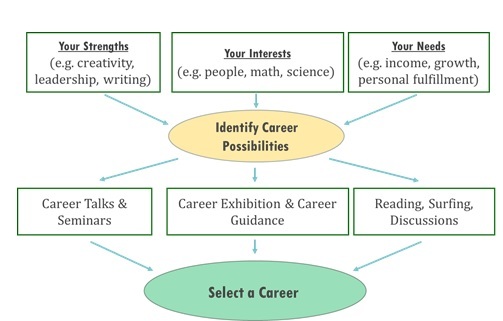 That’s where interest/career assessment programmes come in; they can help individuals identify areas of interest that they may want to explore as a profession. 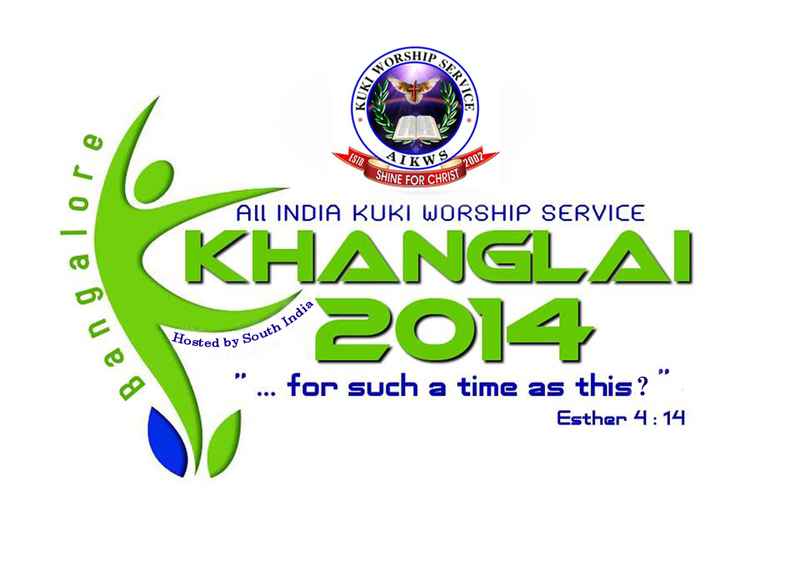 These programmes are today provided by many institutes, both offline and online (For e.g. www.careerfutura.com, www.idreamcareer.com, etc). You can also assess your interests & skills through inputs from friends & families as well. Values and preferences can also affect our choice of careers. For example, if you are an extrovert, you might not want to be in a desk-job; if you value your family life, you would want to avoid jobs that require lots of travel. If you don’t know what is available, how will you know if you would enjoy the job or not? Hence, this second step is important to identify the opportunities available and determine which careers or jobs match your skills, interests, values and personality as discussed in Step-1. This is also critical for taking an informed decision while making a career choice. One can gather information about available career opportunities by engaging in research and networking activities. Specific career information can also be obtained by attending career seminars or counselling sessions. With the widespread use of internet, information on any specific career is available today at the click of a mouse! However, networking & getting inputs from someone who is already in that particular career is the best way & the one I would highly recommend. It will give you a first-hand feel & feedback of the job and whether it’s the kind of career you would want to pursue. After you have finalized your career option, it’s time to take action. Develop a career path and the best route to reach the career goal – a Career Plan! The plan should contain your list of career goals and the necessary steps it will take to achieve them, while remembering to be flexible to life’s changes along your journey. As mentioned earlier, qualifications play an important role in getting the right job in a chosen field. Hence, the qualifications & the courses to pursue should be an important part of your career plan. Following the plan, choose the right courses, acquire the right qualifications and develop & hone important skills required to succeed in the career of your choice. This way, you can let your career goal decide which courses & qualifications you pursue and not vice versa – your qualifications deciding the career you end up with! With the right qualifications, the top employment opportunities will open to you and the power of choice would be with you.